AVR® microcontrollers (MCUs) have long been used to create highly responsive sensor nodes because of their cost effectiveness and ease of implementation. To enhance the capability and responsiveness of applications in these settings, Microchip Technology has expanded its tinyAVR MCU series to include two new devices with advanced analog features and the largest memory variant in the family. Designed for reliable operation in harsh environments, the devices come with built-in safety functions to help designers create robust and safe systems. 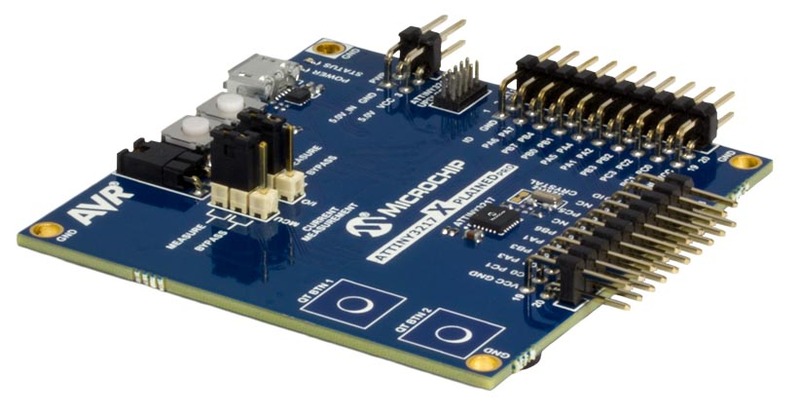 Ideal for sensor applications including capacitive touch interfaces, the ATtiny3217 and ATtiny3216 bring the benefit of two Analog-to-Digital Converters (ADCs) that enable systems to implement touch control simultaneously with other analog measurements. One ADC can be used with the Peripheral Touch Controller (PTC) for touch signal acquisition, while the second one monitors other inputs such as thermistors and pressure sensors, or both ADCs can be used for faster sampling of different types of sensors. The dual ADC can be used for synchronous sampling of analog signals, such as voltage and current, thus improving the overall system real-time performance and accuracy. Additionally, the devices feature a hardware-based Event System that enables inter-peripheral communication without CPU involvement, reducing latency and ensuring faster system response. Both devices come with built-in safety functions to help designers detect and respond to voltage supply variations or drops, including the Power On Reset (POR), programmable Brownout Detect (BOD), Voltage Level Monitor (VLM) and Windowed Watchdog Timer (WWDT). The devices operate at up to 5 V and come available in 125 °C variants. With 32 KB of Flash, designers have plenty of room for their application code while retaining a small physical footprint on the PCB. 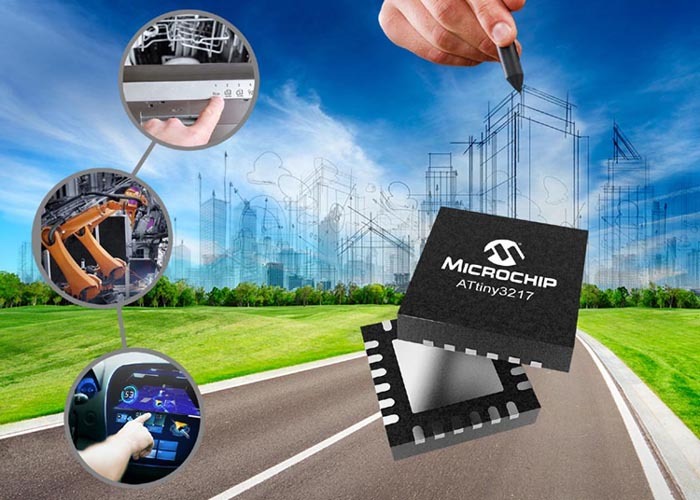 The ATtiny3217 and ATtiny3216 are the latest devices in Microchip’s tinyAVR family of MCUs, including the ATtiny1617 and the ATtiny817, which are optimized for performance, power efficiency and ease of use in small packages. The ATtiny3217 Xplained Pro Evaluation Kit. The ATtiny3217 and ATtiny3216 are available now for sampling and in volume production starting at $0.68 each in 10,000-unit quantities. The ATtiny3217 Xplained Pro evaluation kit (ATTINY3217-XPRO) is available now for $38 each.